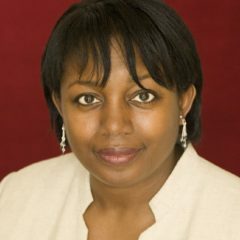 Malorie Blackman has written over 60 books for children and young adults, including the highly acclaimed Noughts & Crosses series, Thief and most recently her science fiction thriller Chasing the Stars. The fifth novel in her Noughts & Crosses sequence, Crossfire, will be published by Penguin Random House Children’s in summer 2019. Malorie has recently written for the eleventh series of Doctor Who, starring Jodie Whittaker, co-writing the episode Rosa with Chris Chibnall. This episode won TV Show of the Year for ‘making a positive social impact’ at the inaugural Visionary Honours at BAFTA in February 2019. Her work has also been adapted for TV with the 6 part adaptation of Pig-Heart Boy winning a BAFTA and Noughts + Crosses currently being produced by Mammoth Screen for BBC One, with Roc Nation (Jay-Z’s entertainment company) on board to curate and release the soundtrack as Executive Producer. A stage adaptation of Noughts & Crosses, by Pilot Theatre, is running from February – May 2019, under the direction of Sabrina Mahfouz. In 2005, Malorie was honoured with the Eleanor Farjeon Award in recognition of her distinguished contribution to the world of children’s books. In 2008 she received an OBE for her services to children’s literature and, between 2013 and 2015, she was the Children’s Laureate. If you’re looking for Malorie’s book rights please click here.